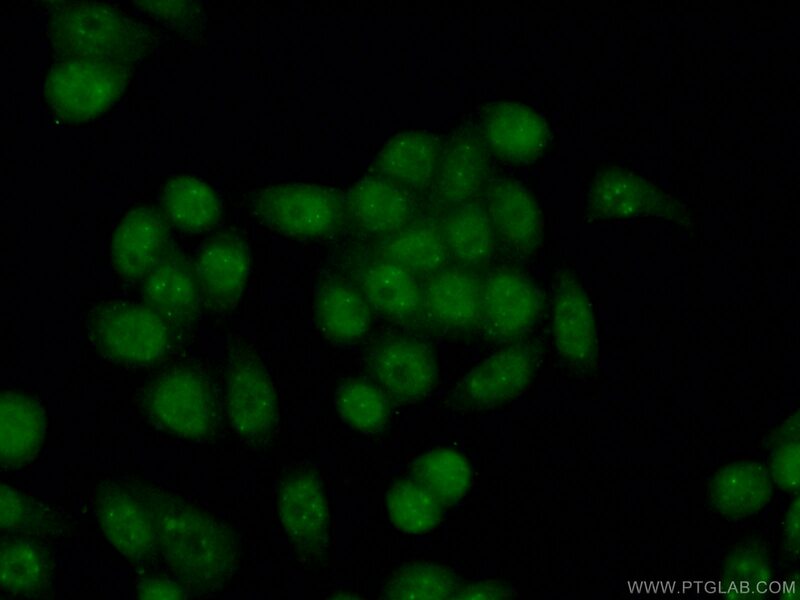 IP Result of anti-PML (IP:21041-1-AP, 4ug; Detection:21041-1-AP 1:500) with HEK-293 cells lysate 3200ug. 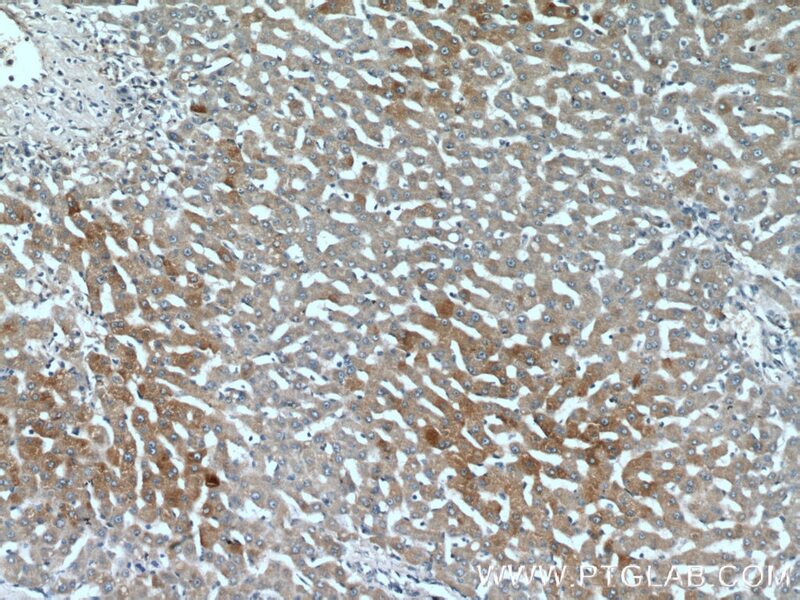 Immunohistochemical analysis of paraffin-embedded human liver tissue slide using 21041-1-AP( PML Antibody) at dilution of 1:200 (under 10x lens). 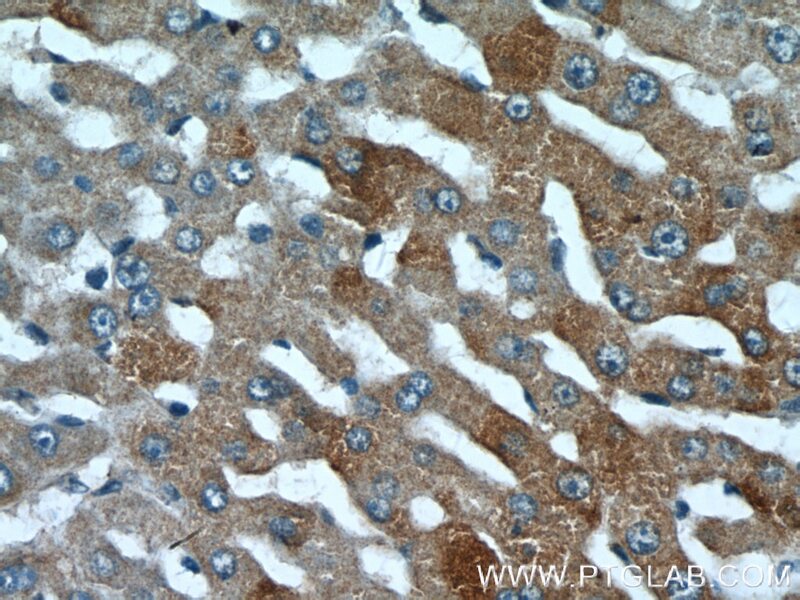 Immunohistochemical analysis of paraffin-embedded human liver tissue slide using 21041-1-AP( PML Antibody) at dilution of 1:200 (under 40x lens). PML, also named as MYL, RNF71 and TRIM19, is a member of RBCC/TRIM family of proteins that possess a RING finger domain, B-box, and coiled-coil domain. It functions as tumor suppressor. 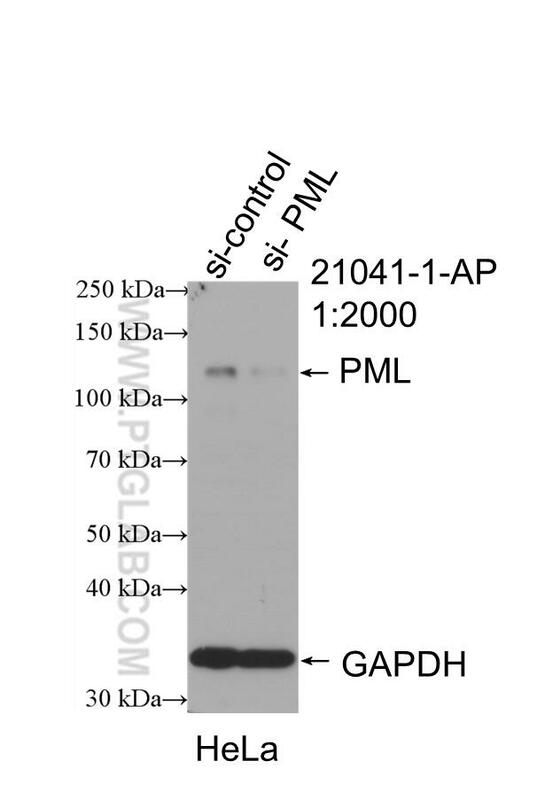 PML is required for normal, caspase-dependent apoptosis in response to DNA damage, FAS, TNF, or interferons. It plays a role in transcription regulation, DNA damage response, DNA repair and chromatin organization. 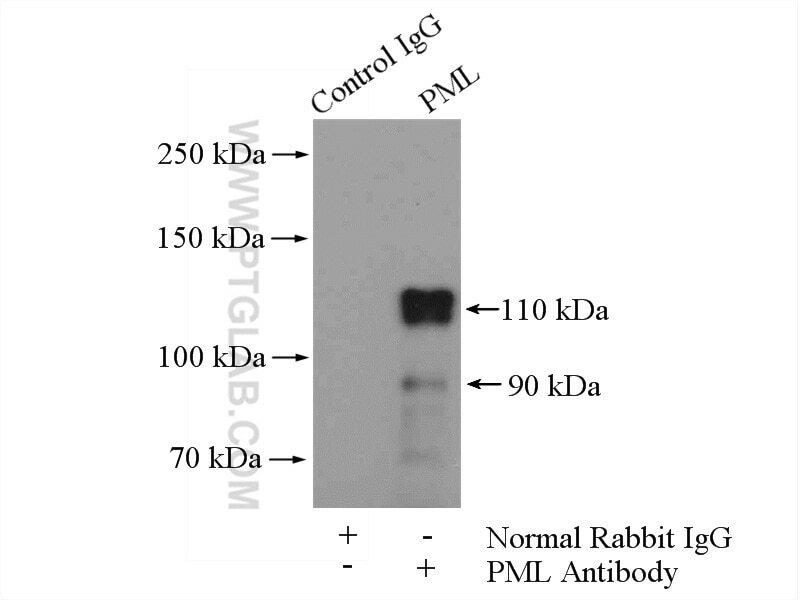 PML plays a role in processes regulated by retinoic acid, regulation of cell division, terminal differentiation of myeloid precursor cells and differentiation of neural progenitor cells. It regulates PTEN compartmentalization through the inhibition of USP7-mediated deubiquitinylation. A large number of alternative spliced transcripts are synthesized from the PML gene, resulting in a variety of PML proteins ranging in molecular weight from 48-97 kDa (PMID:11704850). And it can be detected as 70-130 kDa or larger due to the modification (especially SUMO) (PMID: 16778193, 22438555). Thank you for bringing this to our attention. We have moved this product to our siRNA pipeline and will re-QC it to see if any issues have occurred.